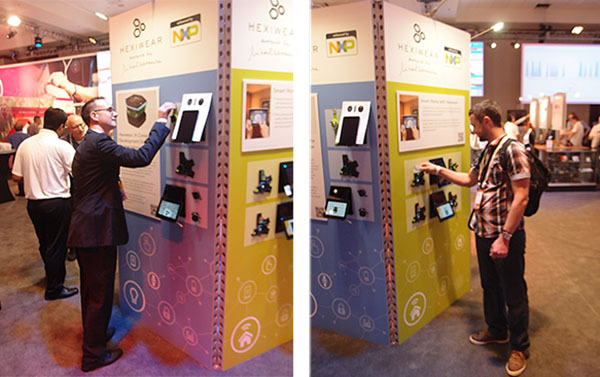 Hexiwear was just shown at the opening keynote at NXP’s FTF Technology forum. At the same time, a Hexiwear design contest is launched on Hackster.io. Today, tomorrow, and closing on Wednesday, in Austin, TX, the FTF Technology forum is a landmark event about the latest trends and emerging opportunities in the embedded industry and technology space. Our team is there to hold Hexiwear training workshops, and to showcase the device at the FTF Techlab. 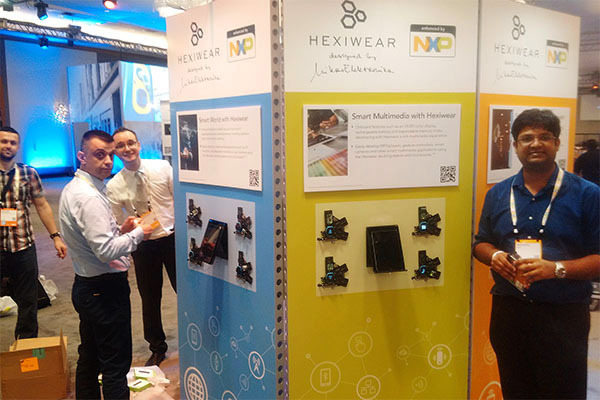 In time for the launch, NXP and hackster.io also just launched a Hexiwear design contest. Show us what you can create with Hexiwear and win some amazing prizes: 3 DJI phantom drones, 1 killer SpaceMouse and 1 smart Humanoid from ezrobots. Join the contest today and reshape the world of IoT. The submission period is until August 29. That is plenty of time for everyone, including both Kickstarter backers who are yet to receive their units, as well as people who place their pre-orders for delivery on June 10. See the contest details on Hackster.io, and pre-order your Hexiwear for a chance to participate (unless you already supported us on Kickstarter in which case you will receive your Hexiwear earlier).